Prymak’s “Radio Logs — Earhart/Itasca” conclusion: Was she really looking for Howland? In my previous post we saw the rest of Prymak’s analysis of Amelia’s strange messages and incomprehensible behavior throughout the final hours of her last flight. Today we present Bill’s conclusions about what all this might have really meant. Assuming leaky tanks and sloppy (read “rich”) mixture settings, and that she did run out of fuel immediately after 0844 HIT (Howland Island Time) transmission; at worst-case altitude of 1,000 feet. At the very first sign of an engine sputter, without any doubt (ask ANY pilot), she would have “MAYDAYED” over the radio, exhorting the ITASCA for help. No matter what the mission – pleasure, flight, spy mission, overt, covert, you call it – Amelia Earhart suddenly becomes the pilot for none of the above. Instead, she is a frightened human being about to crash and possibly die, and she simply MUST reach out for the only lifeline possible – the radio. How much time does she have from the first engine sputter to splash-down? Plenty. Twin-engine airplanes don’t have simultaneous engine quit from fuel exhaustion. Pilots who have experienced twin-engine fuel failures have invariably stated that one engine goes first, and the second engine quits several minutes later. The Electra, light on fuel and cabin weight, could easily have stayed aloft on one engine – there would have been plenty of time for a radio MAYDAY. It simply defies all logic that AE would refuse to send a MAYDAY if fuel exhaustion near Howland Island was indeed the case. She certainly had the time and a working radio transmitter. 3. A FEW THORNS AMONGST THE ROSES? There have been more than a few (some of the armchair variety) critics who have criticized and rebuked Amelia’s flying skills. Let them try flying a heavy, noisy airplane with crude autopilot capabilities for some 10 to 20 hours at a stretch, over vast oceans, hostile unexplored deserts and mountains, through monsoon rains of unimaginable intensities, with virtually no radio navigation aids to help find your way, with no decent charts for visual reference. The vast amount of time between Earhart’s communications to Itasca has always troubled me, and for some it may be difficult to see and comprehend this enormous time gap, so join me in this little exercise: Let us consider RADIO LOG times from 0512 to 0844 (HIT). That represents some three and one-half hours, or 212 minutes. Now take a roll of fax paper 8½” wide by 5-feet long and assign one minute of time to each normal line used for typing. Now insert the 0512 message at the top of the page; it will consume one line (one minute). Then skip 63 lines and insert the next Earhart message at time 0615. Next we skip 31 lines and insert the 0646 message, and so on until the last message 0844 is near the bottom of the 5-foot-long roll of paper. The galactic void between messages is staggering! Something is terribly wrong; these voids must be considered as “windows of opportunity” that any prudent pilot, lost over a vast ocean and in imminent peril of crash-landing into the sea, would certainly take advantage of. 5. PLEASURE FLIGHT? COVERT MISSION? SPY MISSION? In future posts we’ll begin presenting and examining the ideas of the elder statesman of Earhart researchers, Paul Rafford Jr., the former Pan Am flight radio officer, who flew with men who knew Fred Noonan and talked to technicians who worked on Earhart’s plane. Rafford’s work is legendary among students and fans of the Earhart case. First, however, I’ll do a recap of my two-hour presentation to the South Sectional Meeting of the Ninety-Nines at Wichita, Kansas on Sept. 27. Please stay tuned. When Amelia Earhart took off from Lae, New Guinea at 10 a.m. local time on July 2, 1937, the challenge she faced seemed clear-cut. Her stated destination was a landing strip on Howland Island, 2,556 statute miles distant, a speck in the wide Pacific, about 1,900 miles southwest of Honolulu and 200 miles east of the International Dateline. They would be crossing two time zones and the dateline, “flying into yesterday,” so to speak, scheduled to arrive July 2 at Howland several hours before the time they departed Lae on the same date. But though the flight had never before been attempted, Amelia seemingly had every reason to be confident of success. First, she had the best airborne navigator in the world, Fred Noonan, a veteran of the historic round-trip China Clipper flight between San Francisco and Honolulu in April 1935, who had mapped Pan Am’s clipper routes across the Pacific Ocean, participating in many flights to Midway Island, Wake Island, Guam, the Philippines, and Hong Kong. Her Electra was loaded with 1,150 gallons of fuel and had an estimated range of 4,000 miles. Her expected flight time ranged between 20 and 23 hours or so, depending on varying wind effects on the Electra’s average speed. Her radio equipment, though primitive by today’s standards, was the latest three-channel Western Electric equipment of the type then being used by the airlines to provide one channel at 500 kc and the other two at around 3000 and 6000 kc (kilocycles; 3105 and 6210 kc). Perhaps the last photo taken before the fliers’ July 2 takeoff from Lae, New Guinea. Mr. F.C. Jacobs of the New Guinea Gold Mining Company stands between Amelia and Fred. Note that Fred looks chipper and ready to go, not hung over from a night of drinking, as has been alleged. But Amelia had a history of being a bit cavalier about radio communications, and for still unknown reasons, she left her trailing antenna at Miami, which severely limited her ability to transmit with any significant power on the all-important 500 kc frequency. This severely limited the range at which the Coast Guard Cutter Itasca could obtain a fix on the Electra as it approached Howland, and was only the beginning of the entire weird chain of events leading to Amelia’s failure to reach Howland. Much has been written about Amelia’s final flight, and since we have a detailed record of radio receptions and transmissions between Itasca and Earhart (see “Radio Transcripts – Earhart Flight”) before she disappeared, researchers have long sought the answers to the so-called Earhart mystery in the logs and other records. But though the “solution” has never existed in the air, and we already know where she landed and where she died, important clues that suggest what was actually going on during those final hours can indeed be gleaned by the discerning eye. Amelia’s first intelligible message wasn’t received at Lae until more than four hours after her departure. At 2:18 p.m., Lae radio operator Harry Balfour heard, “HEIGHT 7000 FEET SPEED 140 KNOTS and a remark that sounded like “EVERYTHING OKAY.’” Balfour sent weather reports until 5:20 p.m., but none were acknowledged by Amelia. At 3:19 p.m., she reported, “HEIGHT 10000 FEET POSITION 150.7 east 7.3 south CUMULUS CLOUDS EVERYTHING OKAY.” At 5:18 p.m. (0718 GMT), her position was “4.33 SOUTH 159.7 EAST HEIGHT 8000 FEET OVER CUMULUS CLOUDS WIND 23 KNOTS.” This put the Electra just southwest of the Nukumanu Islands, on track about one-third of the way on course to Howland. This was the official flight plan, 2,556 statute miles from Lae to Howland Island. The 337-157 line of position, or sun line passed through the Phoenix Islands, near Gardner, now known as Nikumaroro. The massively publicized theory that the fliers landed there, though completely false, is in part attributable to this phenomena. In keeping with my previously stated theme of returning to some of the great articles published in Bill Prymak’s Amelia Earhart Society Newsletters from 1989 to 2000, the following analysis, written by Bill for the December 1993 AES Newsletter, is presented. In following posts we will continue to explore the complexities of the Earhart radio conundrum, and will examine the work of a few of the finest analysts to examine this always-perplexing riddle, including Paul Rafford Jr., the former Pan Am radio flight officer, and Almon Gray, the late Navy Reserve captain and PAA China Clipper flight officer. The following are my thoughts on a subject that has been beaten to death by every researcher — real or armchair, but I’m taking an approach perhaps never looked at–or discussed, so bear with me, and try to follow my reasoning. The radio log is looked at from a new perspective. 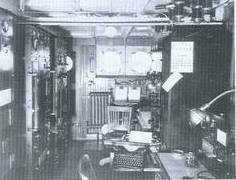 Study the FINAL RADIO LOG [see The Itasca Radio Logs]. A third-rate amateur back alley script writer with absolutely no aviation background could not have done a worse job, except for one perfectly executed objective: TRANSMIT SO THAT NOBODY, BUT NOBODY CAN CUT A FIX ON YOU! INDEED, THE TRANSMISSIONS PROVE THIS! Hundreds have dissected to ad nauseam the words, the time logs, voice pitch, etc., but nobody to my knowledge has ever, as PIC (Pilot In Command) put themselves in her shoes and really chronologically played out the events and thoughts about how a frightened person, ABOUT TO DIE, would, and should have reacted. Am I qualified to make this analysis? You can bet your buppies I am. Twenty-five years ago, as PIC 20 miles off the coast of New England, I suffered a partial engine failure, and, yes, I felt that I could easily die right then and there. So I grabbed my only lifeline — the radio, and “maydayed” on 121.5 and got the Coast Guard. My most vivid memory of the incident was my refusing for even one second to let go (i.e. stop talking) with the voice at the other end of the line. I felt I was going to die without him! I thus regard myself qualified to interpret AE’s feelings during the time period of the ITASCA RADIO LOG. A view of Howland Island that Amelia Earhart never enjoyed. The island, a property of the United States, remains uninhabited by humans, though it’s quite popular among various birds and other wildlife that nests and forages there. 0615: “TAKE BEARING ON 3105 KC” Whistles briefly. And the above transmission, or words to that effect, would be repeated over and over again with never more than a minute break in between, and per Paul Mantz’s and Harry Manning’s teachings, she would have thrown in additional chatter to fill in more time to enable Itasca to get a good DF fix on her. She certainly would have asked “What are your local winds and weather? Can you push up some smoke to help us see you? Please respond, we are not hearing you. Our present flight conditions are … ” She does none of the above, and is silent for another 31 minutes before the next recorded message. ANALYSIS: She’s now tired, lost, with gas gauges creeping towards zero, and the above message is so casual and insubstantial that it makes you wonder if she didn’t spend the last 31 minutes manicuring her fingernails! Something is terribly cut of sync. After the 0646 transmission we have no material or technical reason to suspect any degradation of her transmitting capability, in fact her signals to the ITASCA are getting stronger. So it is with utter disbelief that Earhart waits nearly one full hour before (0742) her next transmission. She’s now been more than 19 hours in a hot, cramped, noisy and smelly cockpit, she has no idea where she is, she hasn’t heard one peep out of the ITASCA, she must be dead tired, totally drained. It would be such a tremendous lift for her if she could hear a friendly and assuring voice from the outside world. And yet for one full hour … she says nothing! I can’t believe it! It would break the droning monotony, plus avail the only opportunity to reach the outside world (AND ULTIMATE SAFETY) if she would pick up the mike and TALK! It doesn’t cost one plug nickel or one drop of gas to talk on the radio, which at this time could be their only hope of avoiding very deadly consequences. ANALYSIS: Does this sound like a coerced preplanned program she was obliged to follow, to be broadcast at a certain pre-determined time? Could Paul Rafford be correct in his statements that quite possibly this whole affair was pre-recorded? Note all of her transmissions were deliberately shortened to preclude the ITASCA from taking a DF fix on her. She knew the time required; certainly Fred knew the same time required for ITASCA to take a fix. ANALYSIS: This message is totally non-conforming with the life- threatening saga unfolding before Amelia and Fred. They are lost. They are low on fuel. They’re both beat, and probably very frightened. The message from Earhart should have added: “FORGET THE HALF HOUR SCHEDULE: REPLY NOW AND CONTINUE TO REPLY UNTIL WE CONFIRM READING YOU. CAN YOU SEE OR HEAR US? ARE YOU SENDING UP SMOKE? CAN YOU GIVE US ANY CLOUD CLUES IN ANY DIRECTION?” Amelia would have continued transmitting, if only to give ITASCA more time for the DF fix. In her plight, growing more ominous by the minute, it is inconceivable that she did not constantly transmit to increase her chances of establishing a lifeline. This was followed by a series of long dashes to ITASCA but they were unable to get a DF fix. See Captain Almon Gray’s excellent dissertation (elsewhere in this newsletter) for the best answer regarding why AE could not hear ITASCA. Note that there is a total absence of any urgency on the part of Earhart. Considering her situation, she should have been “’glued to her microphone” in a continuous attempt to establish two-way communications with ITASCA. After the above transmission, strangely there is no further word from Earhart until some 40 minutes later. Forty minutes! That’s an eternity! What the blazes was she doing for 40 minutes, since it must be assumed, considering the strong signals, that any transmitting done by AE would have been received by ITASCA. Was she manicuring Fred’s fingernails? Or was a different, covert plan already put into action? At 20 hours and 14 minutes after lifting off from Lae, Amelia Earhart transmitted her last officially acknowledged radio message. Let the [Rollin] Reinecks and other navigation gurus battle over the true meaning of the above words “LINE OF POSITION 157/337.” There seems to be colossal differences over the true meaning of the phrase. Captain Gray’s analysis of the message received by Nauru (at noon Howland time, as reported by Fred Goerner in the first edition of The Search for Amelia Earhart) is convincing evidence that Earhart did set down on land. There has been much controversy over the Electra’s ultimate time-in-air before fuel exhaustion. Let me set the record straight. This issue was discussed at length with Art Kennedy, who had overhauled her engines prior to the second attempt, and who calibrated her engines with PRATT & WHITNEY factory test equipment. We carefully went over his test cell engine records, and barring fuel-cell leakage and gross mixture-control mismanagement, she had between 4.5 and 5.5 hours of fuel remaining after her 0844 transmission. This calculation by Kennedy is superior to any Lockheed literature. 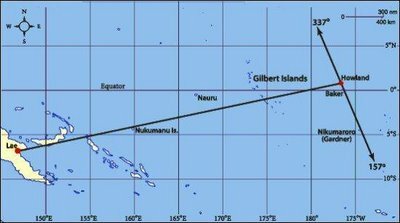 Therefore, it is my conclusion that she had the range to reach either the Gilbert Islands, or the lower part of the Marshall Islands, notably Mill Atoll, where so many researchers have placed her landing site. 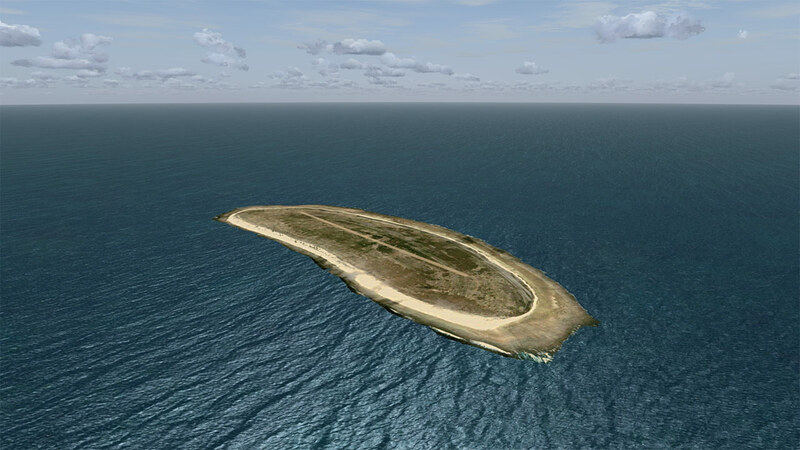 Based on the above it’s tough to convince any serious researcher that she really intended to land at Howland Island. Frankly, I would have trashed as garbage the above RADIO LOG if it had not achieved such notoriety from official government channels. It’s a much censored and doctored script that’s a sad imitation of what should have transpired between two professional entities — Amelia Earhart, the professional pi!ot and the well-trained and disciplined crew of the ITASCA. It should be noted that this alleged “LAND IN SIGHT” message has been widely disputed, and many believe it was an aberration or false report of a message received by Nauru radio the previous day. In our next posting, we’ll look at Prymak’s summary and conclusions relative to the above, and consider that it all might mean in terms of trying to divine just what was actually occurring during the final hours of Amelia Earhart’s alleged approach to Howland Island. Did Amelia Earhart’s secretary send the mysterious letter found at Jaluit Post Office in November 1937? 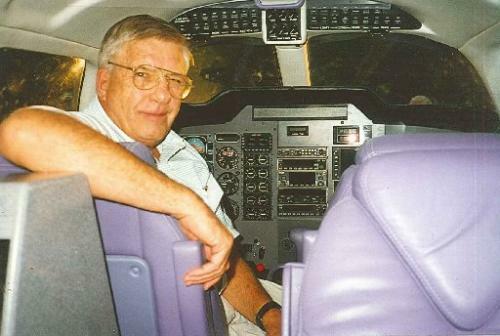 With the recent passing of my dear friend Bill Prymak at age 86, we can write finis to a great era of Earhart research. Bill has joined a host of Earhart researchers whose myriad contributions have made an enormous impact in establishing the facts about Amelia’s tragic end on Saipan, and although our current national zeitgeist stands in vehement opposition to their findings becoming widely known anytime soon, the truth will stand the test of time and will someday be revealed to all when the U.S. government finally finds the fortitude to do so. Bill’s death leaves only Paul Rafford Jr., 95, the former Pan American Airways radio flight officer and author of Amelia Earhart’s Radio: Why She Disappeared (2008) and Joe Klaas, 94, Joe Gervais’ close friend who penned the infamous 1970 book, Amelia Earhart Lives as the only surviving old timers. Beginning with today’s post, as a tribute to Bill and his formidable contributions to the Earhart saga, I will republish some of the great research articles that graced the pages of his remarkable Amelia Earhart Society Newsletters, which he produced, without fanfare or remuneration, and solely for the limited membership of the Amelia Earhart Society in his Broomfield, Colo., office from December 1989 until March 2000. I know Bill would be happy that his fine work, and that of many others, is honored and shared with the remaining few who continue to seek and value the truth. This issue of Pacific Islands Monthly is from May 1934. Four years later, the magazine presented missionary Carl Heine’s report of finding the strange letter to Amelia Earhart at the Jaluit Post Office. “Written diagonally across one corner was this, ‘Deliver Promptly.’ On the back of envelope ‘Incognito’ was penciled in very small, fine handwriting. The letter was unopened, and consequently I have no idea of its contents. Now, it seems to me that anyone in U.S.A. writing as late as October, ought to be well aware that Amelia Earhart had been given up as lost long before. Hence, it would appear that the letter may have been written by some one desirous of hoaxing the public. Still, it is just possible that such may not be the case at all. “Certainly, the writer of the address on the envelope, while making some errors such as anyone at a distance might make, displays a little more geographical knowledge of these parts than one would expect of the average individual, but which one would certainly expect of anyone about to traverse the Pacific, and would be passing this group at a distance of a few hundred miles. The Hollywood Roosevelt Hotel, circa 1937, where Margot DeCarie, Amelia Earhart’s personal secretary, was living during the September-October 1937 time frame, when the mysteries letter to Earhart was delivered to the Jaluit Post Office. This is all we know about the letter. Carl Heine obviously respected privacy rights — even of those believed deceased — too much to open and read its contents, and no one else has ever indicated what became of it. It’s quite possible that the letter was confiscated by U.S. intelligence assets soon after they learned of its existence, and it’s probably joined Robert E. Wallack’s briefcase and the photos of Amelia and Fred reportedly discovered by Seabee Joe Garofalo and other GIs on Saipan, deep in top secret archives where nobody can get to it. We do know that DeCarie wasn’t shy about expressing her ideas about what happened to her boss in July 1937, but we can also wonder whether she told people like Fred Goerner all that she really knew. In a phone interview sometime in the early 1960s, she told Goerner that she had “promised secrecy” to an unknown party, but still gave him plenty to think about. “Do you really think Purdue University bought that plane for Amelia,” she asked, “and do you think that it was intended for some kind of vague experimentation? Second, if the whole thing was a publicity stunt … why did the government assign some of its top experts to the flight, and why did President Roosevelt have an airfield built for her? 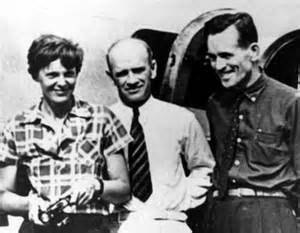 Last, do you believe the President ordered the Navy to spend four million dollars on a search for a couple of stunt fliers?” DeCarie was sure Earhart “died a long time ago,” and that the Japanese captured her “within moderate range of Howland Island. … President Roosevelt knew everything,” she said. “He knew the price Amelia paid.” Margot Decarie passed away in North Hollywood, Calif., in 1983 at the age of 79.